Our newsletter service is a complete solution for sending press releases and newsletter-style information via email to investors and customers. The key feature of this solution is the quick delivery of the emails to the subscribers - an important requirement for corporations with a high level of public awareness. Fast delivery of newsletters to thousands of subscribers: We can distribute newsletters at very high rates. Active bulk email management: We actively manage relationships with several large email providers such as Microsoft and Yahoo to make sure that the newsletter are not blocked. Moderated newsletter gateways: Newsletter cannot accidentally be sent out to your subscriber base. Active system management: We setup, run and monitor dedicated servers to implement the newsletter service. With SLA, DNS failover and high availability, if needed. Automatic bounce processing: The email service automatically detects non-working email addresses and removes them from the lists without user intervention. Custom CMS / website integration: We can customize the solution to fit your needs and interface directly from your CMS or website. Setup and implementation of the newsletter solution will be done in collaboration with your content and technical teams to assure that the CMS/website integration meets your expectations. We will also provide documentation and training to your content delivery staff on how to use the system. The service solution has been in production since 2003. It has proven to be a very stable and reliable platform. Our clients simply love it and so do their investors and customers. 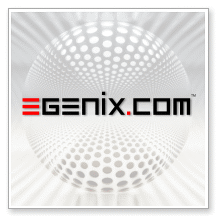 For more information, please see our eGenix.com Newsletter Service Flyer or contact our sales team. Vodafone used our Newsletter Service for many years to quickly send press releases to investors, media representatives and other interested parties.